Like many of you, I savored the Seattle Seahawks’ trouncing of the San Francisco 49ers a couple Sundays ago, a big win and a great start to a promising season that continued with a victory versus Jacksonville this week. But as heavy rains had delayed the game versus San Francisco, I got a little worried, too. But would the 10:30 p.m. boat hold everyone? We’re talking about a lot of fans here. 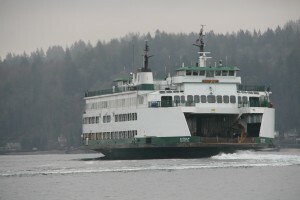 I went to bed thinking good thoughts for those coming back to Bremerton, and sent a note off to Washington State Ferries asking about how many people climbed aboard the next morning. I also put a note on my facebook page. To my surprise, those who responded said it wasn’t too bad. The Walla Walla was working the route, which helped because of its size. Everyone made it aboard, it seems. A week later, I finally got those ridership stats. The ferries counted 1,057 passengers on the 10:30 p.m. sailing. Not even the Bainbridge Island boat at 10:40 p.m., which was that route’s most populated run of the day, reached that number (it totaled 907). 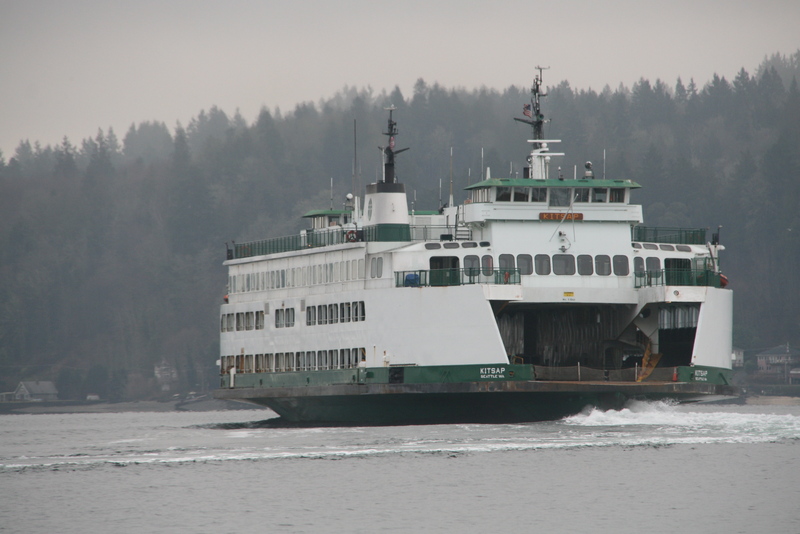 Bremerton’s route carried 2,560 people altogether that Sunday (Sept. 15), meaning that one sailing had more than 40 percent of its ridership for the day. The WSF’s Ray Deardorf said that even if the Walla Walla (capacity 2,000) hadn’t been working the route, the Kitsap — usually the smallest boat on the Bremerton run — could’ve accommodated the load, with a maximum capacity of 1,200. Yet had the Kitsap made the journey, some 400 people wouldn’t have had a seat to sit on, he added. “An uncomfortable crossing,” he said of the possibility. Yep, those of us in Bremerton have our gripes about the frequency of the ferry sailings. But it’s nice to know that that boat might be bulging, but there’s lots of room on our ferry vessels.